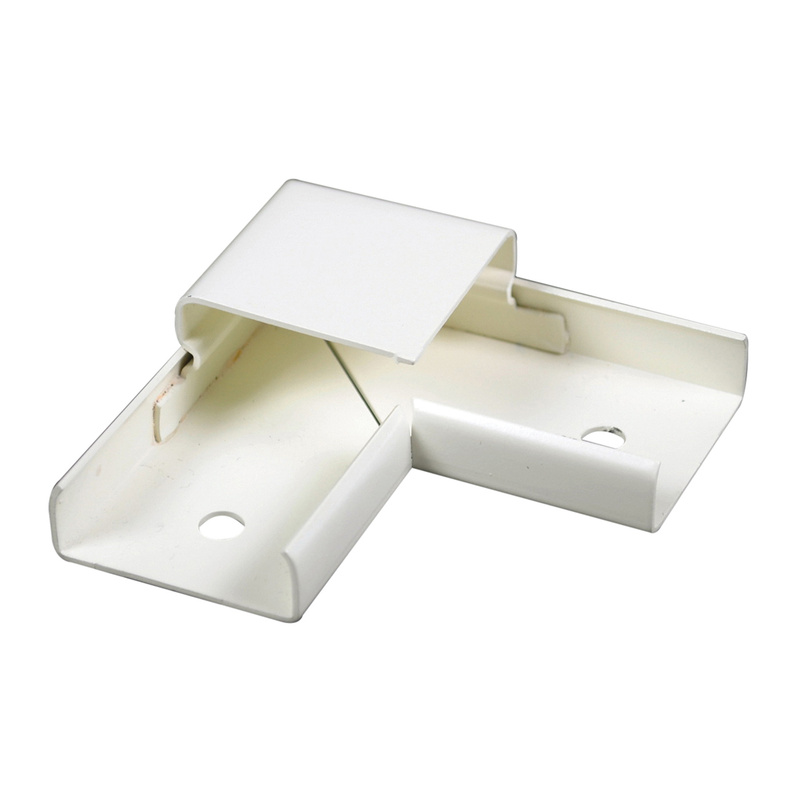 Wiremold Plugmold® 90-degree Flat elbow fitting in gray color, is perfect for use with 2000 series 1-Channel surface raceway system to make right angle turns on same surface. It features steel construction and baked enamel finish. This fitting comes with two couplings. Fitting is UL listed and RoHS compliant.